Our communication and media studies program offers a critical approach to those elements in society that are shaped and influenced by human symbol systems. Messages bombard you everywhere; they inform you, influence your decisions and shape your world. The ability to analyze, synthesize and critique these messages helps you to understand the motives of others and to express yourself clearly and wisely. Through your work in communication and media studies, you’ll learn how to focus on the ways people use messages to generate meanings within and across various contexts, cultures, channels and media. It’s a field that promotes the effective and ethical practice of human communication – and, as you explore that field, you will hone your grasp of spoken and written language, equipping you to both understand and be understood. In other words, you will prepare yourself to connect to and collaborate with others, in work and in life. You can also major in speech communication to teach in high school. Employers and graduate school admission officials prize a sophisticated approach to, and understanding of, communication and media. Indeed, communication competence, tempered by the ethics learned in St. Norbert’s liberal arts environment, provides a powerful asset for pursuing graduate studies or beginning your career. As a communication and media studies major at St. Norbert College, you will have access to internships that provide invaluable professional experience. These include internships on campus or with regional broadcasters, public relations firms, print publications, marketing firms, advertising agencies and nonprofit organizations. In addition, the opportunity to study abroad can expand your ability to communicate in different contexts and within and across different cultures – a boon as you seek work in a global world. You may also qualify for awards and scholarships available only to communication and media studies majors. 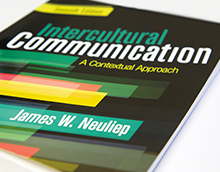 Jim Neuliep (Communication & Media Studies) is the author of “Intercultural Communication: A Contextual Approach” (2017), published by Sage Publishing. 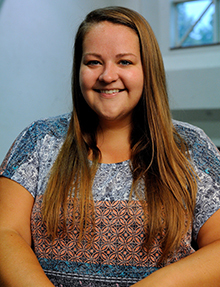 A key feature of this leading textbook is its inclusion of intercultural insights from St. Norbert undergraduates that are benefiting communication students around the world. An eighth edition with a January 2020 publication date is in the works. 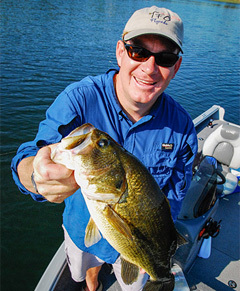 Emmy Award-winning outdoorsman and broadcaster Bill Sherck ’94 tells stories of the outdoors throughout the Midwest, and from Canada to the Dominican Republic. A St. Norbert class is partnering with local businesses to improve corporate communication. St. Norbert students are helping Ameriprise and Dental City analyze their internal communication needs.